The ball is obviously the essence of the game of golf; everything revolves around where it starts, where it stands and where it finishes. Without it, we're just walking. And regulating its performance seems to be important if the game is going to be contested in a fair fashion. For some time - about 100 years - the governing bodies have been concerned about the distance some golfers hit the ball. This discussion started in earnest soon after the introduction of the Haskell ball (the first one wound with rubber thread) in the 1890's. With the United States Open beginning Thursday in Pinehurst, N.C., it is appropriate to ponder the latest salvo in the golf-ball debate. The United States Golf Association recently proposed an experiment for how the game would be affected by a ball that travels about 25 yards less than ones currently in use. "It is about time, too!" say proponents for rolling back the ball's performance. They feel that today's long-hitting athletes are compromising some century-old golf-course designs. Merion, in Ardmore, Pa., is used as the prime example of an Open course on which an Open can no longer be played. Some 100-year-old courses have been lengthened to make relevant the obstacles that were designed to challenge the golfing elite. These adjustments have been made in an attempt to make the 300-yard hitters think again about challenging or trying to avoid the strategically positioned obstacles that their mammoth drives have been flying past. So, rolling back the ball makes a lot of sense - or does it? The truth is, the club has contributed as much to the distance gain in the last eight years (about 20 yards) as the ball has contributed over the last 50 years or more. So the ball is now being asked to make up for how the governing bodies compromised standards to accommodate the manufacturers' advances in club technology. Does the ball go too far today? Not when I hit it. It probably does not when you hit it. When you swing your titanium driver and meet a multilayered ball on the club face's sweet spot, don't you consider every inch of that beautiful flight to be your just reward? "Wait a minute," you're saying, "I'm not the problem; those professionals are." True enough, but tinkering with the ball will reduce everybody's yardage, not only those of the Tour golfers. We can also agree that making the ball travel a shorter distance has the same effect as lengthening the courses. In other words, it puts even more of a premium on power: the longer the course, the greater the advantage to the long hitter. I can't think of too many times I've walked off a golf course thinking it was too short; I doubt we need to make the fundamental changes that will lengthen every course in the world. When we talk about Merion being made obsolete, we're not talking about the game played by you and me. Merion is played and enjoyed by its members and guests every day, and it will probably always be. The discussion is about Merion's viability as a major championship site: the challenge it may or may not present to about 153 elite golfers on one or two weekends in the year. When there are more than 20 million people playing golf in this country every year, should we make our rules on equipment to accommodate such a tiny slice of the playing population? I do believe that raw power poses a problem for the game on its highest levels. Golf is a beautiful game when it rewards a balance of power and accuracy, and it allows golfers to compensate for what they may lack in one aspect by emphasizing the other. Rolling back the ball won't accomplish this; the answer lies more in how we set up the courses for our biggest championships. In 1951, Robert Trent Jones became famous for his alteration of Oakland Hills in Michigan; he brought its fairway hazards into play by moving them into the professionals' landing zones. Ben Hogan, who had won the previous year's United States Open at Merion, prevailed at Oakland Hills, and commented on his pride in bringing this "monster" to its knees. Creative course designers can make similar modifications to place a premium on accuracy in major championships, bringing golf back into a better balance. Rolling back the ball is a radical solution to a minor problem. It will only increase the advantage of those it hopes to rein in, and will make the game more difficult for the rest of us. When a proposed solution not only makes a problem worse but also hurts everything around it that was O.K. to begin with, it is a cure that's much worse than the disease it was designed to treat. 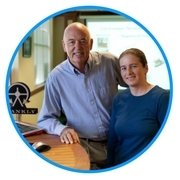 Frank Thomas,technical director of the United States Golf Associationfrom 1974 to 2000, runs a company whose Web site, FranklyGolf.com, is a clearinghouse for information about equipment evaluation and research.